With a high frame, this luxury machine is great for people with tired knees and mobility considerations. You can use it for numerous exercises for a full body workout. The monitor is sophisticated but easy to use, providing accurate, comparable data for every row and it provides wireless monitoring of your heart rate. 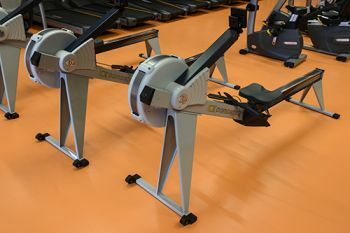 The rower responds to your effort and you are in full control of your exertion and resistance at all times. The spiral damper allows quick adjustment of the airflow to the flywheel, so you can change the feel of the stroke as required.